hd00:17Autumn lake under blue sky with paddler in a kayak in a distance in Cottage Country of Ontario. hd00:06Boat rides on the river in the distance at sunset. 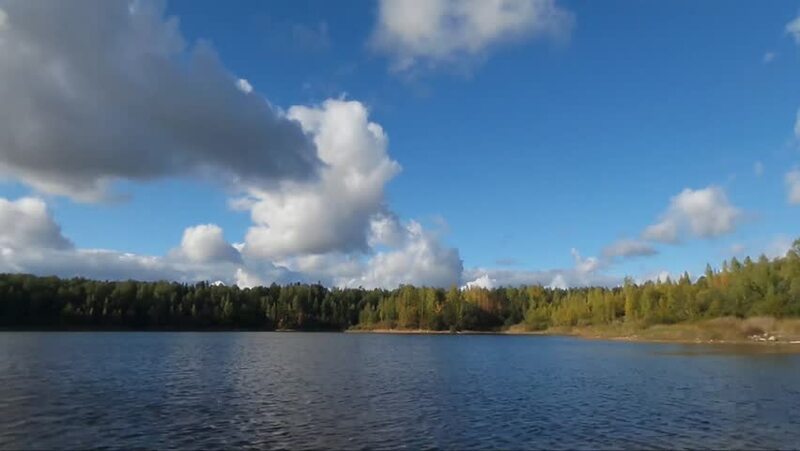 hd00:18Clouds drift by in this time lapse over a lake.